Anna Neale’s new album ‘River Man’ takes the listener on an epic musical odyssey through Roman history and heralds a change of musical direction for the sensual, playful and feisty singer songwriter. The album features guest performances from Gary Brooker (Procol Harum), Patch Hannan (The Sundays, The Audience), and world-renowned Senegal virtuoso Jali Fily Cissokho. 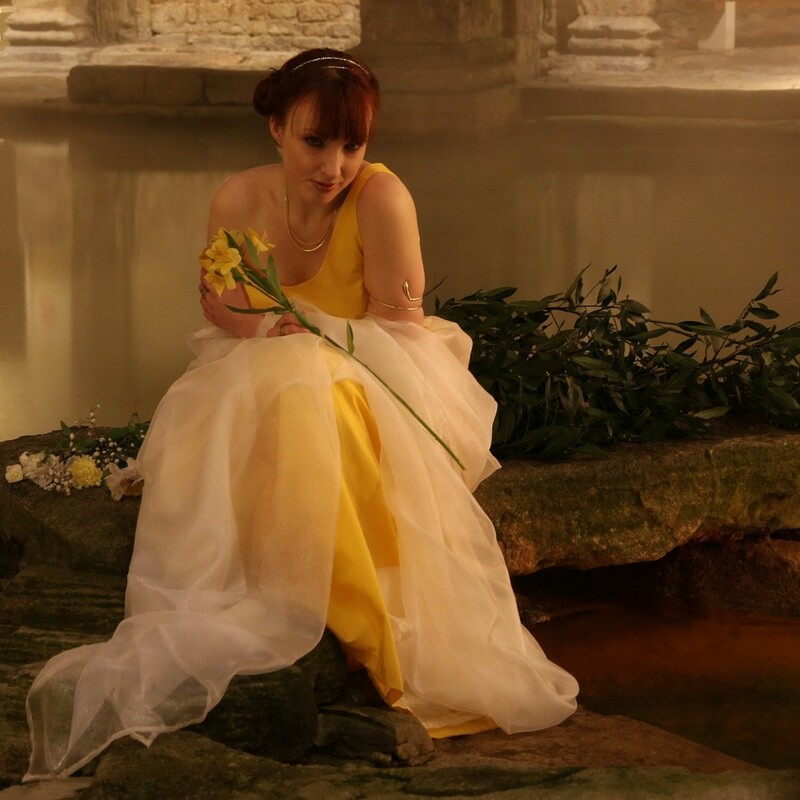 Influenced by the life, times, loves and legacy of Pompeii, Anna Neale’s ‘River Man’ will enthral the listener with songs that chronicle universal themes of love and knowledge, as well as the eternal question of the human spirit and human identity. Winner of 2009′s Guildford Music Award for Best Female Solo Artist, Anna Neale started her professional life touring as a vocalist with Dublin soul band, the stars from ‘The Commitments’. Since then she has become a performer and songwriter in her own right, playing to an increasing number of fans through her live, TV and Radio performances. Anna has played around the world, across US, Canada, Europe and Asia, both as a solo artist and as a member of various bands. She has also supported many well known artists including Dave McPherson (InMe) and Edwin Starr. In 2008 Anna reached the finals of the London Metro’s ‘On-line, On-tour’ competition’, and the finals of MTV’s 2008 ‘Get Seen, Get Heard’ competition. Her interview and song (filmed live at ‘Bed’ in her home town of Woking) ‘Soul Momma’ received regular play on various MTV channels across the UK over the spring and summer. Later on in the year she played at the O2 in Greenwich as part of O2 undiscovered. Anna’s past credits include playing at the sell out BPI showcase as part of Canada’s NXNE festival in 2006, where she was the highest rated solo artist. Part of her Canadian tour saw her writing and recording with Justin Gray (Joss Stone, Emma Bunton) and John Wozniak (Marcy Playground). As well as showcasing at Brighton’s ‘Great Escape’ Festival in 2010 with Recharged Radio, Anna has previously showcased at Manchester’s renowned ‘In The City’ music conference and performed regularly on the main stage at the Edinburgh Fringe Festival. Internationally Anna headlined at the world renowned Canadian Music Week festival (CMW) in Toronto in 2009, performed as part of SXSW in Austin, Texas and at the NEMO Music Festival in Boston USA in 2005. Anna’s Boston appearances resulted in her track ‘All For Nothing’ topping the NEMO Starbucks download charts across New England. Anna’s previous album ‘Touch’, released in 2010 in conjunction with independent label ‘Somebody’s Music’, received rave reviews for its organic stance and lyrical content. ‘River Man’ has been produced by Jez Larder, who has previously worked with David Bowie, Estelle, One Eskimo, and Amy Macdonald. River Man will be available on CD, Limited Edition Vinyl and to download on the 26th September 2012.